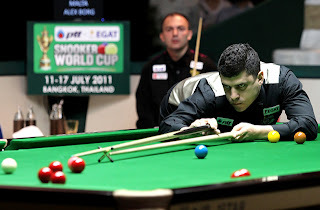 Three of the most notable teams England, Wales and Scotland played their first group match in PTT-EGAT Snooker World Cup today. All of them gained victories. 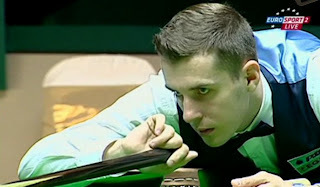 The two finalists of Wuxi Classic 2011 a few days ago, Mark Selby and Ali Carter flew over Thailand for the World Cup Journey. They enjoyed a pretty start by winning 4-1 against Brazil. They produced a fine performance today with Carter made 89. "It's a very short format and anything can happen so even if you lose a point then you can't crucify yourself.'' said Carter. "It's massively important to start with a win and if you look at our group ourselves and Northern Ireland are the toughest teams so as we have the three other teams first we need some convincing wins.'' Selby added. Scotland had a tough battle against Poland. 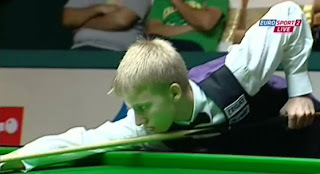 15-year-old Poland teenager Kacper Filipiak continued to play his amazing snooker. 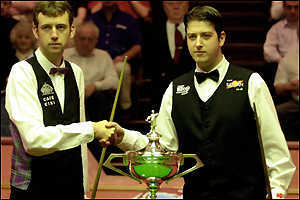 He beaten BOTH John Higgins (with break of 69) and Stephen Maguire in singles. This young boy and his team-mate though lost 2-3 overall but people will remember his name. World Cup is good for him to gain more experiences in playing with the top players. He even said after this match: 'I was really relaxed – it was just a normal frame.' Ronnie O'Sullivan praised and tipped him for future World Champion on Twitter. I will love to see this teenager to shine in the future! Australia recorded second vicotry over Malta narrowly by 3-2. Amateur player Steve Mifsud saved Australia from defeat as he recorded singles victories over Tony Drago and Alex Borg. Neil Robertson praised and was delighted Mifsud with his form. "He really did well. I lost the first frame and you don't want to go 2-0 down in this format but if it wasn't for Steve we would've lost the match.'' "Steve hasn't played under this kind of pressure and it's good for him to produce the goods when it matters," said Robertson. India scored 3-2 victory over Belgium while Pakistan lost 2-3 to Germany. Thailand Team 1 had their first victory 4-1 over UAE when Hong Kong won 3-2 over Afghanistan.